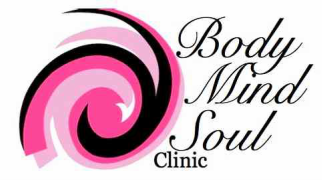 Welcome to Body Mind Soul Clinic. All Information that you provide us is strictly confidential. If this form is being filled out for a minor, parents, please supply your details for assisting in claiming for your child. As part of providing a therapeutic service including counselling to you, our Clinicians will need to collect and record personal information that is relevant information in relation to you. This information is a necessary part of the treatment that is conducted. b) To discuss the material with another person, eg parent or employer. The Australian Psychological Society's recommended consultation fee is $246 for a 45-60 min. session. You are only eligable for Bulk Billing if you are experiencig extreme financial hardship. If your GP has requested Bulk Billing, your fee will be determined with your Therapist on your first appointment depending on your financial circumstances and whether you fall into the Bulk Billing category. ​If your sessions are being paid for by a third party, please provide their detais here. All account and credit card information is held in confidence. If you need to cancel or postpone your appointment, please give more than 24 hrs notice so we can allocate the appointment to another client. If we do not receive the minimum of 24 hours notice, a late cancellation fee of $50 is payable to cover the cost of the Clinician being available to you. A fee of $100 will be chargerd for all NO SHOWS to an appointment. If our Client Management System hasn't debited your card within 24-48 hrs of late attendence or NO SHOW, the fee must be paid on or before your next visit. I consent to my information being provided to the Gold Coast Primary Health Network and to the Department of Health to be used for statistical and evaluation purposes' designed to improve mental health services in Australia. I understand that this will include details about me such as date of birth, gender, and types of services I use, but will not include my name, address or Medicare Number. I understand that my information will not be provided to the department of Health if I do not give my consent.